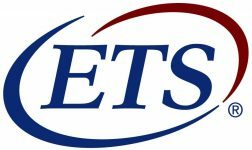 The CELTA (Certificate in English Language Teaching to Adults) is the most widely recognized initial qualification for those wishing to follow a career in TEFL (Teaching English as a Foreign Language). Experienced teachers can also benefit from learning up-to-date methodology, as well as staying competitive in the job market. Cambridge ESOL (English for Speakers of Other Languages), a division at the University of Cambridge holds responsibility for validation and certification of the courses as well as approves the tutors who run InterPress International House’s CELTA courses. An external assessor for each course is provided by Cambridge. This is a highly practical course that provides training in the teaching of English as a foreign language to adults. CELTA aims to provide teachers with a firm foundation on which they can build with experience. CELTA deals with levels from Beginners/Elementary to Late Intermediate (Cambridge First Certificate). The CELTA course presents a view of the principles underlying language teaching and deals extensively with the analysis of English from a learner’s perspective. Candidates, who successfully complete the Cambridge CELTA course receive the Cambridge Certificate and a certificate-report from InterPress IH. The report describes the candidate’s performance in some detail and serves as a useful reference for employment. Input sessions are often held in the form of a workshop or interactive lecture. Topics address the issues of language awareness, the learning/teaching context, planning, methodology, classroom management and areas of language analysis and presentation and professional development. Teaching practice is a major component of the CELTA course. The program is closely related to work done during the seminar sessions. Small groups (the maximum is six) obtain practical experience through working with classes at different levels. After each teaching practice session the lessons are discussed with the tutor. CELTA Trainees must liaise with other members of their group outside course hours in order to produce a series of cohesive lessons. The observation of practicing teachers is an intrinsic part of the course and takes place outside course hours. We emphasize that the CELTA course is quite intensive. It demands full commitment from participants over the duration of the course. Liaising with other course participants for timetabling and lesson planning. Observation of classes at InterPress IH for a total of six hours. Optional viewing of teacher training videos. 4 written assignments during the course (total of 3,000 words). Occasional homework assignments related to input seminars. have the potential to develop the necessary skills to become effective teachers and to successfully complete the written assignments and practice teaching. II. The recommended minimum entry requirement is that candidates should have formal qualifications, which would allow entry into higher education in their own country. Many CELTA candidates will be postgraduate level, and most CELTA candidates will have experienced learning a foreign language. III.In all matters relating to the suitability of candidates for courses, the decision of the Director of Studies, InterPress International House shall be final. IV. CELTA Candidates for the course are selected initially by written application and then by interview. Acceptance at either stage is not automatic. In cases of unsuccessful application InterPress IH cannot enter into correspondence or discussion concerning the reasons for an interview or a place on the CELTA course not having been offered. The rigorous selection process is undertaken in the interest of CELTA candidates to ensure a high level of success on the CELTA course. As places on the CELTA courses are limited, applications for the courses should be submitted at least two months prior to the course you wish to take. I. Applications should be made on the form provided and indicate which CELTA course dates you are applying for. The complete application form should be returned to the Teacher Training Centre ( tt-centre@ihkazakhstan.com ). It should be filled in fully and carefully, with the use of grammar reference books where necessary. II. We will acknowledge your application as soon as possible and if your written application is satisfactory we will arrange an interview for you. I. If, following the interview, you are accepted for a CELTA course, you should pay your deposit immediately. We cannot reserve a place on the CELTA course until the deposit has been paid. Deposits cannot be refunded under any circumstances. II. The balance of the fees must be paid at least four weeks before the start of the CELTA course. If you have not paid your fees by that date, you may lose your place. III. In the case of cancellations made later than four weeks before the start of the CELTA course, requests for refunds can only be considered if we are able to fill the place at short notice. The deposit and Cambridge registration fees are not refundable. IV. Please note that in the event of a CELTA candidate being unable to complete the CELTA course for whatever reason, InterPress International House cannot refund fees or offer the candidate a place on a subsequent course without payment of further fees.